← About Greek “deipnon… supper”: a meal or a sacrificial meal? Happy 1st Anniversary ‘Amoris laetitia’ and a terrific new book alert – ACTION ITEM! It has been 1 year already since the unleashing of the text of the Post-Apostolic Exhortation Amoris laetitia. It seems longer, in some ways. Since it’s release, sharp divisions have developed in the Church over objectively ambiguous, now infamous elements of Chapter 8. You know the issues all too well. Unity is breaking down. Bishops conferences now have differing policies, as do bishops of dioceses. You can now step across invisible, arbitrary borders and find yourself in a place with a different approach to Communion for the divorced and civilly remarried (adulterers) who have no true purpose of amendment. The implications for doctrine, and the practice which flows from doctrine, are manifold and potentially devastating. A clue as to a possible future could rest in the remarks made about divorce and remarriage by the Superior General of the Jesuits a while back. In a clear defense of the antinomian and innovation approach to Chapter 8, the Jesuit General said that we can’t really know what Christ said about marriage. HERE and HERE The implications of such a view completely undermine Christianity itself, in that they shift belief from being Christocentric to being anthropocentric. We would no longer have any firm basis for … well, anything! As I have written before, the ever-broadening controversies sparked by Amoris laetitia will lead more conservative and traditionally (i.e., faithful) clergy to continue to do what they do in keeping with the Church’s clear teaching in unambiguous documents and will lead more liberal and progressivist clergy to continue to disobey the Church’s laws and teachings with impunity. The latter, some of whom are very powerful, are accelerating their antinomian efforts with an increasingly sanctimonious tone, while the former are becoming increasingly frustrated as they dig in and await open persecution. A lot of us are trying to make sense of this as we ask God for direction and insight. This book is in a series about how various religions are “Doing Theology”. As such, it is a status quaestionis book, in that it describes the present state of affairs. This book is intended to help (especially) students, who go from class to class in a bewildering tangle of various approaches, to figure out what is going on. Francis is clearly a less systematic thinker than either of his predecessors, and especially than the academically-minded Benedict. Whereas the previous pope defended popular piety against liberal critiques, Francis embodies a certain style of populist Catholicism – one that’s suspicious of overly academic faith in any form. He seems to have an affinity for the kind of Catholic culture in which mass attendance might be spotty but the local saint’s processions are packed – a style of faith that’s fervent and supernaturalist but not particularly doctrinal. He also remains a Jesuit-formed leader, and Jesuits have traditionally combined missionary zeal with a certain conscious flexibility about doctrinal details that might impede their proselytizing work. Nonetheless, it has been suggested by several academics and papal commentators that if Pope Francis has sympathy for any particular approach to Catholic theology, it is that of ‘People’s Theology’. One of the most extensive articles on this subject is Juan Carlos Scannone’s ‘El papa Francisco y la teologia del pueblo’ published in the journal Razón y Fe. In this paper Scannone claims that not only is Pope Francis a practitioner of ‘People’s Theology’ but also that Francis extracted his favourite four principles – time is greater than space, unity prevails over conflict, reality is more important than ideas, and the whole is greater than the parts – from a letter of the nineteenth-century Argentinian dictator, Juan Manuel de Rosas (1793– 1877) sent to another Argentinian caudillo, Facundo Quiroga (1788– 1835), in 1834. These four principles, which are said to govern the decision-making processes of Pope Francis, have their own section in his Apostolic Exhortation Evangelii Gaudium and references to one or other of them can be found scattered throughout his other papal documents. Pope Francis calls them principles for ‘building a people’. There is quite a bit more, but this might provide a clue as to why His Holiness allow the chaos to grow without, for example, responding to the Five Dubia of the Four Cardinals which were submitted 200 days ago at the time of this writing. This may be why he sends mixed signals, such as telling Chilean bishops during their ad limina visit that Communion shouldn’t be given to the divorced and remarried, while having Card. Baldisseri (Synod of Bishops) write an approving letter to the bishops Malta after their shocking guidelines were released (The Maltese Fiasco). [C]hapter eight of the document, or what might be described as the praxis chapter rather than a theory chapter, emphasised that those who find themselves in ‘irregular situations’ (what were formerly described as situations of mortal sin or morally disordered situations) should be spiritually and emotionally accompanied along the path of a gradual reintegration into the life of the Church. Whereas in previous Church teaching emphasis was on how the person’s rational intellect makes it possible to discern the true and the good and the beautiful, [NOTA BENE] the subtext of this document was that many contemporary people are in effect so far post-Christian as to be pre-Christian. The cultural environment in which they breathe, in which their wills and intellects develop, is so toxic to a Christian understanding of sexuality and marriage that their levels of moral culpability in what is an objectively sinful situation are not easily amenable to judgement, and thus the Church has to be for them a ‘field hospital’ when their life choices, based on subjective conceptions of the good, detached from Christian Revelation, cause all manner of damage. Notwithstanding the earlier endorsements of selected teachings of John Paul II, chapter 8 gives the impression that the role of the Church as ‘teacher of the Truth’ and ‘guardian of the deposit of the faith’ should be muted so as not to scare people away from the Church operating in her capacity as a ‘field hospital’. The change of language from ‘morally disordered’ or ‘mortally sinful’ to an ‘irregular situation’ is symptomatic of this muting. (Kindle Locations 4377-4389). I have a strong sense that this is an accurate assessment of the subtext of Amoris laetitia Chapter 8. I wonder: is it true? Often, I am struck with the thought that many people who might self-identify as “Catholic” in fact belong to some other religions than I do. If they pick and choose about important aspects of Catholic life and teaching, are they Catholic? Are so many people now, who are nominally Catholic, in fact pre-Christian? Is it, therefore, necessary to dumb-down or even distort doctrine so as “not to scare them away”? Is this the state of affairs today? And, if it is, does this accurately describe Pope Francis’, et al., strategy? That said, I fear that this approach, IF that is Pope Francis’ true approach – and we can’t know for sure until he tells us clearly – this elevation of praxis over doctrine, will result in devastation. One could use this as a starting point to justify just about anything. Where does it stop? Rowland rightly speaks of “subtext”. We can drill deeper and find, in that subtext, subtly threaded through, the denial of what the Council of Trent affirmed about the help of grace, and to which Trent applied an anathema. HERE God’s commandments are not impossible ideals. Neither God nor Holy Church impose impossibilities. That, however, is what is suggested by many who endorse the antinomian/innovation interpretation of Amoris. For my part, I pray that God will guide us swiftly out of this time of conflict and uncertainty. I fear for souls. Finally, I have put Rowland’s new book on my Amazon Wish List with a request for 30 copies. Each year the seminarians of the diocese gather with Bp. Morlino (aka The Extraordinary Ordinary) for a solid jam-packed week in August. For the last few years I have given them copies of a good book which YOU readers have sent. 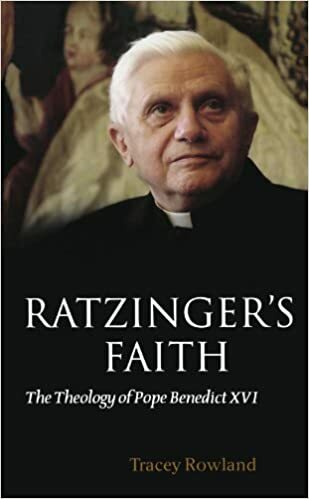 For example, a couple years ago you sent copies of another spiffy book by Rowland, Ratzinger’s Faith. Another time I gave them, with your help, Fr. 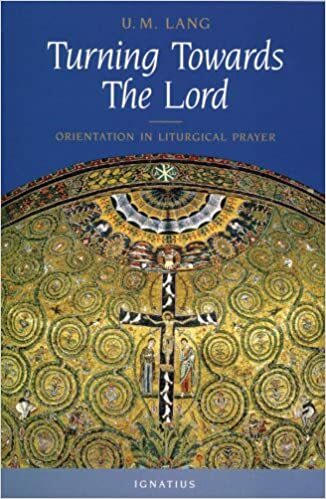 Lang’s book on ad orientem worship, Turning Towards The Lord. I make my request quite early this year because, in years past, the books I’ve asked for have sold out! Not only do you send them to me, but you get them for yourselves, which is great! However, that can slow the delivery. In order to have all the copies well before August, we should start now, just to be sure. This entry was posted in ACTION ITEM!, Pope Francis, The Coming Storm, The Drill, The future and our choices and tagged Amoris Laetitia, Five Dubia, Pope Francis. People's Theology. Bookmark the permalink. 15 Responses to Happy 1st Anniversary ‘Amoris laetitia’ and a terrific new book alert – ACTION ITEM! Jesus dealt with people who were pre-Christian by definition, including pagans, and He did not water down doctrine. The priests and bishops of today possess His authority. Why isn’t that enough? Let us, in Heaven’s name, drag out the Divine Drama from under the dreadful accumulation of slip-shod thinking and trashy sentiment heaped upon it, and set it on an open stage to startle the world into some sort of vigorous reaction. If the pious are the first to be shocked, so much the worse for the pious—others will pass into the Kingdom of Heaven before them. If all men are offended because of Christ, let them be offended; but where is the sense of their being offended at something that is not Christ and is nothing like Him? We do Him singularly little honour by watering down His personality till it could not offend a fly. Surely it is not the business of the Church to adapt Christ to men, but to adapt men to Christ. It is the dogma that is the drama—not beautiful phrases, nor comforting sentiments, nor vague aspirations to loving-kindness and uplift, nor the promise of something nice after death—but the terrifying assertion that the same God Who made the world lived in the world and passed through the grave and gate of death. Show that to the heathen, and they may not believe it; but at least they may realise that here is something that a man might be glad to believe. …that time will remove at least some of the protagonists in any conflict. “Remove” has so many connotations. Pater et al: has not the present Holy Father in fact opined, in the same vein which Rowland cites, that the vast majority of “Catholic” marriages today are invalid; i.e. due to the un/poorly catechized state of the individuals? Like you, I have wondered whether this realization that much of Catholic Christendom is “Catholic” in name only underlies the whole spirit of AL… it is far more palatable than the alternatives I must admit! But even if HH – if not the merry Kasperites – has recognized to this rotten fruit of the post-Conciliar catastrophe, he neither acknowledges the cause nor – more importantly – seems to be proposing a remedy in line with the Church’s eternal teachings. So where, once again, are the four Cardinals with their fraternal correction? There is a good chance that they have issued it privately; are they waiting to do a second private correction? If so, why not expedite this whole proccess? Is a public correction not forthcoming because it’s inappropriate during Lent? Or might it actually be an *appropriate* time? One thing is clear: things are now so far along in public dissent from Church teaching, by leading hierarchs, that one wonders what will happen in the next papal conclave. Thus there is an element of urgency in getting the process started of publicly challenging this Pope. It’s going to be a long and arduous process to remove the confusion; why not get the process started now. Lack of push-back could result in the election of an even more problematic papacy that exploits the widespread confusion of this one. I think that’s true. But what we should do about that is the bone of contention. It seems to me that the Pope Francis fans think that “conservative” Catholics don’t want to help people at all, and conservative Catholics are afraid that Pope Francis’s version of helping people is just pretending that they haven’t done anything wrong. Surely we can get past this. We are all adults and can reason together. An illuminating and sobering reflection on not only the current situation, but upon the unfortunate reality of well over fifty years. Pope Francis is not the problem, he is evidence of a current well established among the clergy even as the last council was announced. A pontificate of this character was inevitable. If it hadn’t been Jorge Mario Bergoglio it would have been someone else. They are legion, they are stealth, they are well placed, they are motivated, and they definitely have an aversion not only the content of the perennial Magisterium, but to the method of theological reflection employed by Roman Catholic theologians. Long past time that truth was uttered. The abolition of catechesis in the wake of the council was an abandonment of the then newly dubbed “People of God” to their own resources, where the notion of “spiritual but not religious” reigns now supreme and not merely among the laity. You can’t rip the wiring out of a home and expect to flip a switch to any effect. Two to three generations of priests appear to be operating without that knowledge. Pastoral practice without deep roots in Roman Catholic theology (not psychology, sociology, economic theory) is akin to a physician practicing his art without emersion in medical science. The casualties inhabiting the field hospital require far more than a first aid kit. The M*A*S*H unit is often a mess, staffed by who knows what, and is no substitute for a real precinct for recovery. A coherent explanation of the catastrophe can provide comfort. The comfort here is that someone has the expertise to give a lucid analysis, but yet again the solution for the disaster goes unstated. Fr Z- I have purchased a copy via your amazon wishlist. Can you keep up a running count of how many more you need? I will purchase more if need be, but I don’t want to prevent others from contributing as well. During an annual physical, your doctor might try to explain some of the science that makes (insert: your bad habit) it important to change your ways. In a field hospital, that kind of leisurely conversation is not appropriate. Big wounds require acute care now! But the doctor still knows how the body works and treats accordingly. The doctor does not ask the hemorrhaging soldier whether he wants to bleed a lot or a bit or, biting the bullet, stop the flow all together. There is an objective fact (doctrine) about what is needed, regardless of what the patient thinks /supposes /prefers. That the doctor does not pause to give a mini lecture on that fact does not change the fact from which the only reasonable praxis follows necessarily. Fr Z, you made a superb post. “praxis rather than theoria” – Doesn’t practice have a theory behind it? Anyway…It’s seems all well and good to use a softened style to try to bring souls back into a “regular situation” by softening doctrine. But human nature tells me that those in “irregular situations” will not be enlightened by a softer approach, but will see that as the Church changing, and therefore no need to change themselves. Nice theory, but it won’t work. In the meantime, more and more souls are being lost. And isn’t this what the Church is supposed to try and prevent? That the foundation is Hegelian just demonstrates what is well known: Germany has been dominating Church policy since the opening of VatII (nb: The Rhine Flows into the Tiber). As the era of Neo Scholasticism ended, it was supposed to have been replaced by theology that was more inclusive of the Fathers and Scripture. Unfortunately, it became more an opportunity for a theology that promoted German Existentialism. The Jesuits were the dominant promoters, and the Gregoriana provided the leverage, with seminarians and priests from all over the world studying there. The Greg influence has been mitigated in the past 25 years by, among other things, the Pontifical Faculties of Theology and Canon Law at Santa Croce (Opus Dei). I knew many men from Argentina during my Roman years, priests and laici. None were liberals, and most would not be in the pope’s camp. Argentina is not typically South American; it is almost a piece of Europe in another continent. There has not been the post VatII severe priest shortage in Argentina that there has been in the US and Germany. From the pope’s history and various comments, his attitude toward the SSPX was to let them alone (save for a few 1970ish public insults like accusations of rigidity), give them what they want, and eventually people would lose interest. He has discovered, however, the opposite is happening: the SSPX, FSSP, and other Latin minded groups are flourishing and are not filled with people driven by nostalgia (another 70ish accusation). The word is that the pope was also surprised by the reaction against AL. It is true that Spirituality is not Morality. Good Jesuit that he is, however, he considers them not at all related. Pope Francis and his Catholic liberal supporters say modern man, i.e., the patient in the field hospital analogy, is not capable of receiving the whole Gospel (which many of them themselves seem to have some qualms about), and so it is necessary first to show love, mercy and acceptance and then the patient can receive the rest. Of course they never get around to administering “the rest.” Somewhat along the lines of Unwilling’s comment above, what good is a field hospital if the doctor sits around and allows disease to spread? Would be doctors in the field hospital should ask themselves WWJTBT — what would John the Baptist think? He had a pretty straight forward prescription: Repent. Perhaps someone will write a book, Dr. Bizzarojoy: or how I learned to stop worrying and love Amoris. I think Maynardus is on the right track: the Holy Father showed his cards, so to speak, when he voiced his suspicion that only a minority of marriages are valid. Well, if that’s the starting point, then we’re not really dealing with “divorced and remarried,” are we? One isn’t divorced if one wasn’t really married in the first place. I don’t presume to judge what the Holy Father is doing, to say whether it’s right or wrong. But my conjecture/suspicion is that in place of the nightmare scenario of countless marriage tribunals, he’s kicking the problem to the so-called internal forum. I attended a lecture a little while ago in DC given by Roberto de Mattei and part of his point was the errors of Communism–relativism, orthopraxis as in whatever furthers the revolution, etc–have infected the Church at the highest levels, yes, including AL, chapter 8. It was a brave, intelligent speech from a careful historian, and had a lot of power for that very reason. While Rowland may be right in her reading of AL, I don’t buy the idea that today it’s so hard to understand Catholic teaching, as opposed to, say, AD 831 in England, that folks need a get out of mortal sin free pass. This underestimates the “light of reason” in every soul, no matter the level of education. I have to ask- what if the different responses by the different Catholic locales are the intended result of Amoris? Is this not what the Pope wants- for some doctrinal decisions to be made at the local level? Is it possible that he is perfectly fine with different bishops making different decisions about who can receive communion? Catholics are freaking out because the Pope seems to be talking out of both sides of his mouth, accepting one decision for certain countries, and another decision for other countries, but what if this is the intended result of Amoris? It is situational ethics in practice; when in Rome, do as the Romans, and when in Africa, do as the Africans. It almost seems like Jesuit inculturation gone completely awry. I can’t see how this will not devastate the church and eventually cause a schism unless swift action is taken now. I hesitate to even ask these questions because I can’t know the mind of Francis; I can only see the destruction coming from his actions, no matter what his intent is. My thoughts scandalize me, but the day we start censoring our honest questions because we are afraid of the answers is the day we accept living under a dictatorship.